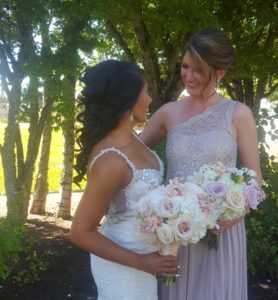 From Our Hearts: The individual attention given to each bride and each arrangement is outstanding. 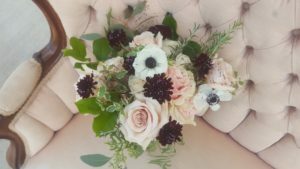 She is may be a small home florist, but she does incredibly beautiful work for every client and we are so pleased to have her so close to our home! 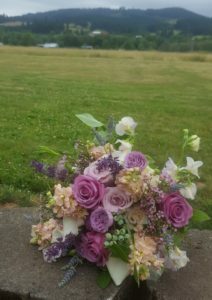 How She Stand Out: I have been designing wedding flowers since 1993. I specialize in artistic floral design for weddings and events and I absolutely LOVE what I do. I am grateful to be a part of such a special day in people’s lives. I am a small home based business and I do all of the designing myself which allows me to offer special individual attention to each detail of every event that I do. 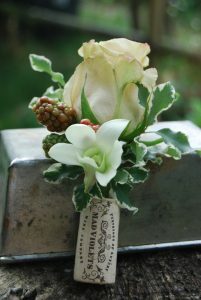 Designing wedding flowers is very personal for me. It is an ‘Art’ and I am passionate about my Art. Piece of Advice: My best advice for Bride’s planning a wedding is to: Take the time to plan carefully and follow your heart. Follow your instincts to find the vendors perfect for you. And on your wedding day…. Trust that it will be beautiful and perfect and …. Just enjoy the day! From Her Heart: I am new to the Newberg area, having lived in the Portland area all of my life. I am so excited to be near the Water Oasis. Its such a beautiful peaceful setting. I love this Wine Country that we call home!